Jose Bautista isn’t ready to retire. The 37-year-old outfielder recently told FOX Sports he “definitely” wants to play in 2019. Bautista will be a free agent in the offseason and is looking to sign with a contender, according to FOX Sports’ report. 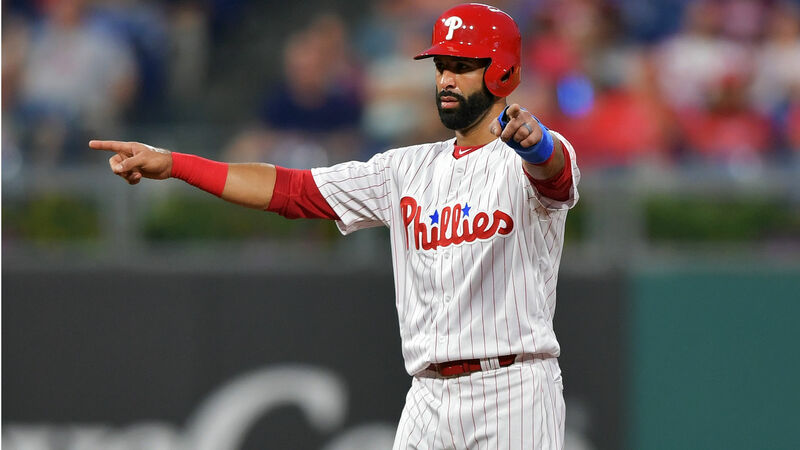 Bautista was traded from the Mets to the Phillies in late August. He began the season with the Braves but was released in May. Bautista has registered a .199/.340/.370 slash line in 115 games. He has also hit 12 home runs and tallied 47 RBIs. The 15-year-veteran broke out with the Blue Jays in 2010, hitting 54 home runs and driving in 124 runs that year. He made the AL All-Star team for six straight seasons from 2010-15. Bautista started 140 games for Toronto in 2017, hitting 23 home runs while batting just .203.